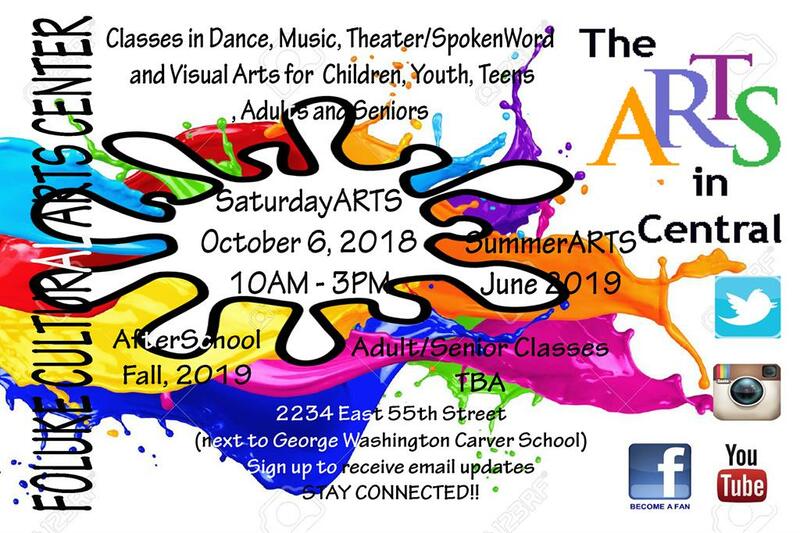 6 – 11 yr. old Theater/Spoken Word – Sat. 12 – 17 yr. old Theater/Spoken Word – Sat. Fees: $8 per class, $120 per class for a 15 week session. Discounted Rate for Central Residents. Monthly Payments options are available. Tuition and fees are due at the time of registration. Payments may be made in the form of cash, check, credit card or money order. Initial payment is due at the time of registration, and subsequent payments made prior to each class meeting (on Saturday). A $40.00 fee will be assessed for returned checks. Checks and Money Orders should be made payable to Foluké Cultural Arts Center. Limited financial assistance is available to those who qualify.